Home > Denver Bankruptcy Overview > Can I Keep My Car Under Chapter 7 Bankruptcy? 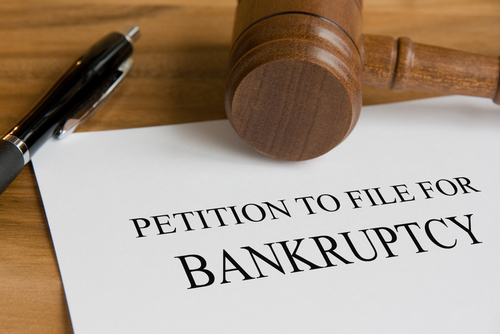 In Colorado, people who file for Chapter 7 bankruptcy may be able to keep their cars as part of the property that can be exempt from their bankruptcy estate. Exemptions effectively protect property from liquidation, which means that exempt property won’t be sold off in an effort to pay creditors for a person’s outstanding debt. The Colorado motor vehicle exemption for Chapter 7 bankruptcy may allow you to keep your car. For more info, contact Lindquist-Kleissler & Company. $5,000 in cars, bicycles or other vehicles can be exempt from a Chapter 7 bankruptcy case. The exemption can be doubled (i.e., increased to $10,000) if the person filing for bankruptcy is disabled or elderly (i.e., 60 years old or older). The motor vehicle exemption can also be doubled if a person is filing with his or her spouse (i.e., filing jointly). Therefore, if the equity in a person’s car (or in multiple vehicles) is less than the vehicle exemption that applies to him, the bankruptcy trustee cannot sell the vehicle to repay that person’s creditors. Require people to hold the legal title of the vehicle in order to take advantage of the Colorado motor vehicle exemption. Work-related vehicles – Vehicles used as part of the “tools of a person’s trade” can be exempt from a bankruptcy estate, as up to $20,000 of these tools (including a work-related vehicle) can quality for exemption. This exemption cannot be doubled, however, as it applies to a household (rather than a single petitioner). Tractors and agricultural vehicles – Tractors can qualify as “motor vehicles” for the purposes of bankruptcy exemptions in Colorado. Additionally, up to $50,000 in trucks used for agricultural purposes can be exempt from bankruptcy estates. As with the “tools of the trade” exemption, the agricultural vehicle exemption applies to a household and, therefore, cannot be doubled. Insurance proceeds for motor vehicles – The amount of the motor vehicle exemption that applies to a specific case will also apply to insurance proceeds for that vehicle in the event the vehicle is damaged. Therefore, if a person qualifies for the $5,000 vehicle exemption, he will also be entitled to exempt up to $5,000 in insurance proceeds if the vehicle is damaged. Fuel – While the motor vehicle exemption allows up to $600 of fuel to be exemption from a bankruptcy estate for an individual petitioner, spouses can double this exemption when filing jointly. There may be other nuances of the Colorado motor vehicle exemption rules that apply to your case, and the amounts described herein can be changed or updated by the Colorado legislature at any time. Therefore, be sure to consult Denver Bankruptcy Attorney Arthur Lindquist-Kleissler for more specific information about your case. If you are preparing to file Chapter 7 bankruptcy and would like to know more about the motor vehicle (or other) exemptions that apply to your situation, Denver Bankruptcy Lawyer Arthur Lindquist-Kleissler is ready to help you figure out your best options for resolving your debt while keeping as much of your property as possible.